Natural Bee Pollen is considered one of the best foods for complete nourishment. It contains nearly all nutrients required by human body and is an excellent food supplement. What is a Bee Pollen? 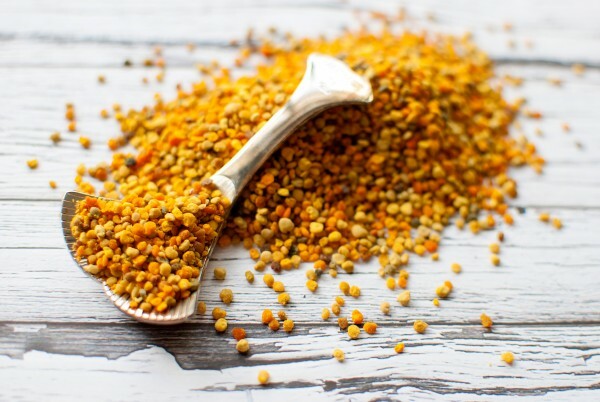 Bee pollen comes in tiny little golden-coloured granules that are sweet to taste. It is gathered while bees visit flowers collecting nectar, some are brushed off their legs and collected when they enter the hive. 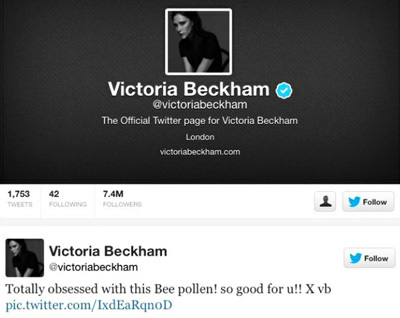 A single bee can carry about half her own body weight of pollen. During the brood rearing season, the pollen is stored for only a few days in the hive. During the winter it is stored for much longer. Beekeepers collect only a small amount of Bee Pollen from any given hive, so as not to deprive the bees of the bulk of their food source. One of the most amazing bee pollen facts is that it takes one bee working eight hours a day, one month to gather just one teaspoon of bee pollen granules. Bee Pollen is rich in nutrients such as 18 vitamins, 25 minerals, 59 trace elements, 25 minerals, 11 enzymes, a rich source of essential fatty acids, and contains all the essential amino acids. These properties make it an antibacterial, antifungal and antiviral agent. Dr Gabriel Cousens MD, has listed bee pollen as one of his 22 most recommended food energies. 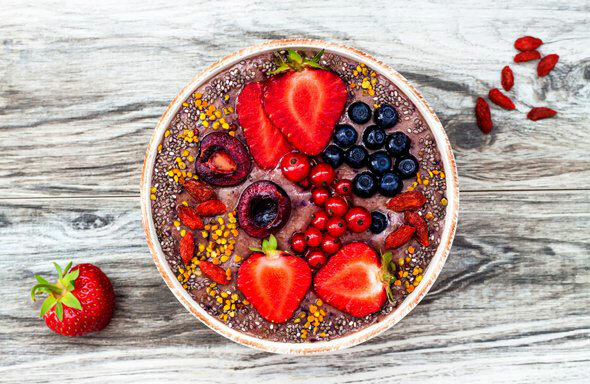 Why should you add Bee Pollen to your diet? You can find a wide range of nutrients in Bee Pollen. This makes it a highly effective energizer and fantastic vitality enhancer. The sugars, protein and vitamins can keep you going throughout the day by improving stamina and fighting off exhaustion. 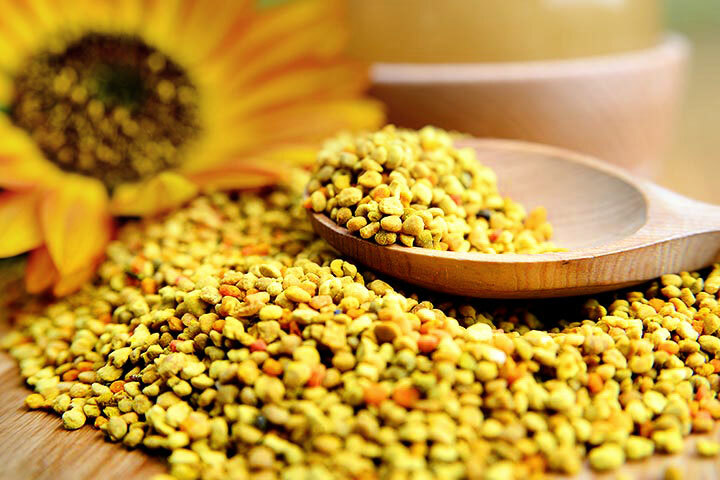 Recent studies have revealed Bee Pollen is beneficial for patients undergoing various diseases, such as cancer, cardiovascular diseases, diabetes and hypertension. Bee Pollen greatly supports the immune system as it has antibiotic-type properties that can help protect the body from contracting viruses. It is also good for the intestinal flora. It also protects the cells as it’s very rich in cancer prevention agents. Bee Pollen is highly successful against an extensive variety of respiratory ailments. Dr Leo Conway, MD of Denver Colorado, reported that 94 percent of his patients were totally free from sensitivity indications once treated with Bee Pollen. The vitamins and amino acids protect the skin and support regeneration of cells. Supports weight loss and weight control. Improve General Energy Levels and Sense of Well-Being. 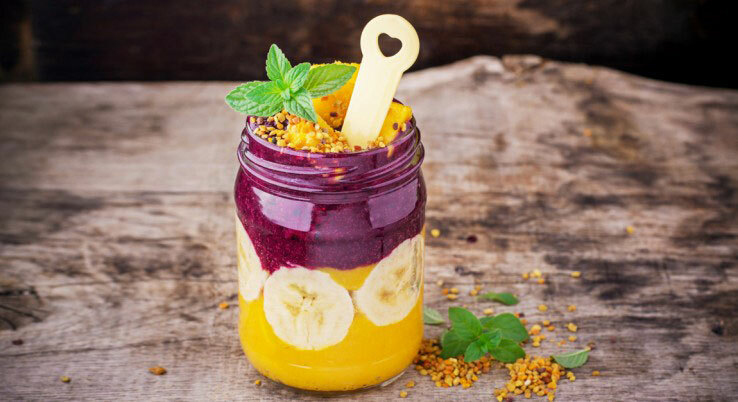 Bee pollen is super sweet so it works well to sweeten up smoothies or yoghurts. Can be sprinkled on a salad. You can also mix it into granola or energy balls to add a bit of a guilt-free sweet treat. It can even be eaten straight off a spoon as well as drunk with water, juice or milk. This entry was posted in Bee Pollen. Bookmark the permalink.